Mercedes C-Class C63 Premium Plus 4dr 9G-Tronic 2019 Review | What Car? What Car? will save you at least £3,344, but our approved dealers could save you even more. 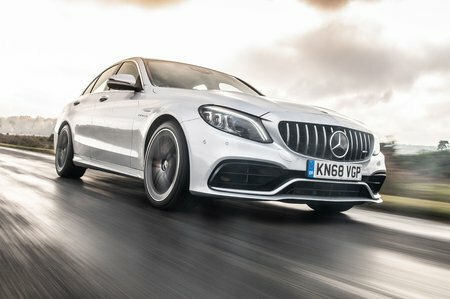 The sporty AMG range – including the C43 and upcoming C63 and C63 S – features appropriately aggressive bodystyling, artificial leather on the dashboard, lots of red stitching, red seatbelts, a bespoke steering wheel and, if you choose the Premium pack, a bespoke digital dashboard display.